A Skyjet charter plane was struck by a drone as it approached Jene Lesage International Airport in Quebec City. The plane was carrying two crew members and six passengers at the time. Luckily for everyone involved, the plane was struck in the wing and not badly damaged. 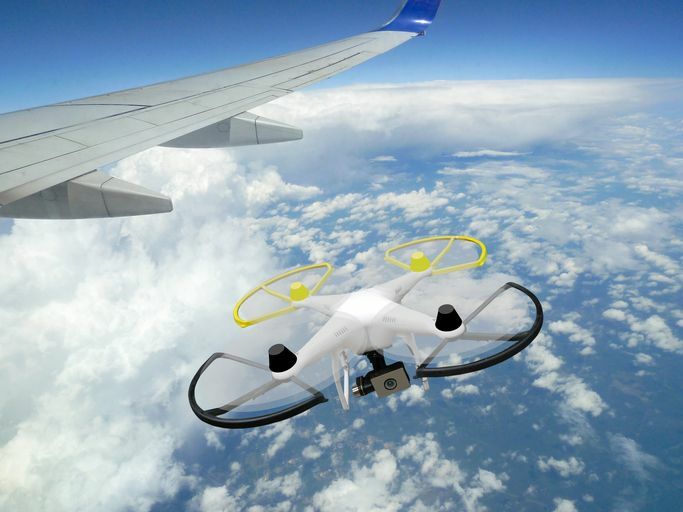 As drone usage continues to increase worldwide, encounters between drones and planes have increased. However, this incident is the first confirmed collision. It is illegal to fly recreational drones within 3.5 miles of airports or more than 300 feet high in Canada. Individuals who do not follow these regulations may face a fine of $20,000 U.S.D. and a prison sentence. The drone that struck the passenger plane last Thursday was within the 3.5-mile restriction but was flying 1,500 feet high. Had the drone struck a window or damaged the engine the results would have been catastrophic. This entry was posted in Drones and tagged Airplane, drone.